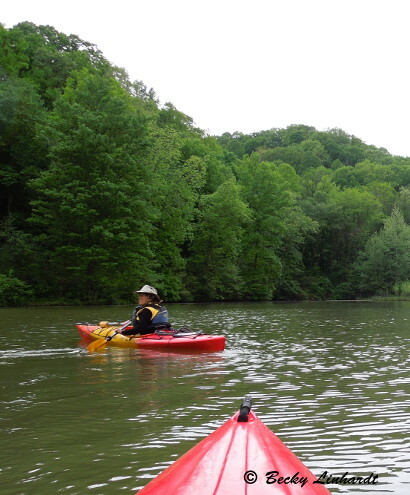 Many of Ohio’s best outdoor adventures can be found in the Appalachian foothills of southeastern Ohio. 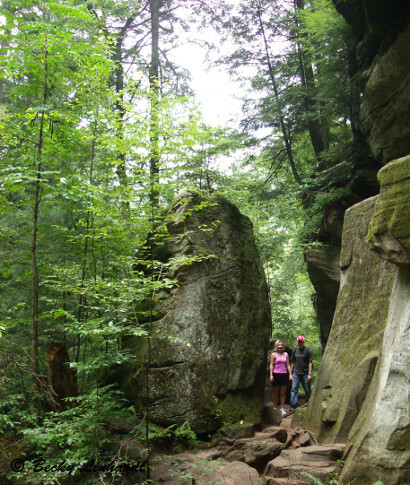 Hiking trails wind through the Hocking Hills State Park to Old Man’s Cave and other rocky features carved by rivulets of water that have slowly cut into the stone over thousands of years. 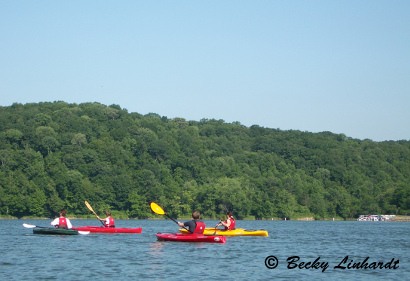 Kayaking and canoeing are available on “flat water,” the large expanses of Lake Hope State Park, Burr Oak State Park, and Dow Lake at Stroud’s Run Park near Athens, Ohio. Cyclists, many college students at Ohio University or Athens’ residents, enjoy leisurely cycling or walking the Hockhocking Bike Trail that winds along an old railroad grade that runs through Athens and the Hockhocking River valley. Others take to the challenging mountain bike trails nearby at Lake Hope State Park. 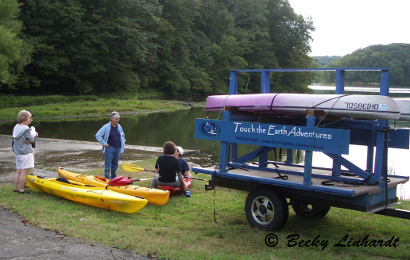 Preaching the gospel of “re-connecting with nature,” Mimi Morrison has developed an adventure tour company called Touch the Earth to share the beauty of this section of the Appalachians and points beyond in the mountains and at the seacoast. Based in the Athens, Ohio, Mimi has organized and guided kayaking and canoeing in the Hocking Hills for early morning bird watching; full moon paddles to experience the nocturnal rhythms of nature; retreats; Women’s Only Weekends; and multi-day hikes along the Buckeye Trail – always focused on connecting people back to the beauty of the natural world. 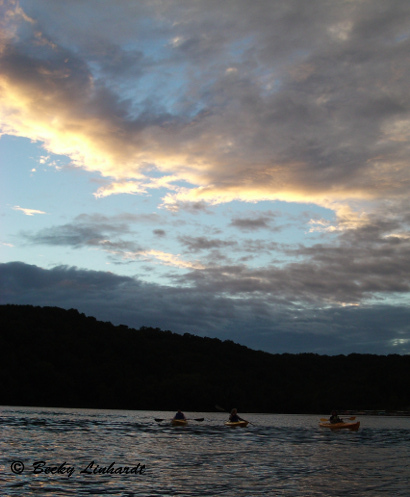 Kayaking in the Hocking Hills is heavenly. In the daylight you can just bob around on the quiet water watching and listening for birds. Mimi often adds a professional naturalist as a birding guide for her groups. Night is very different because the hills block out even the minimal “city” light of the small towns. Eyes eventually adjust to the moonlight and you can hear the subtle noises of beavers, owls, and other night sounds. It’s a “whole ‘nother world” – ours, but you may not have experience it this way before.